Alright ladies, I’m seeing this floating around. 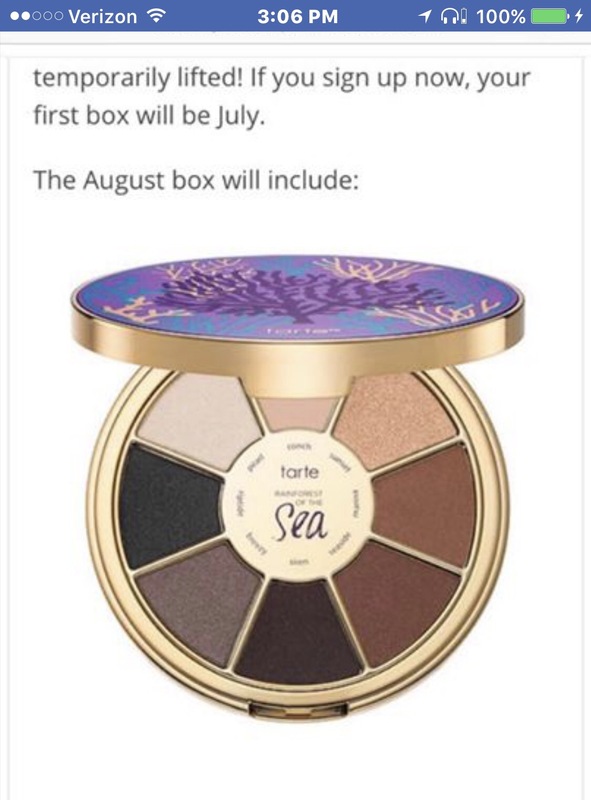 Allegedly, BoxyCharm is sending this Tarte eyeshadow palette out in their August subscription box. Boxy Charm is famous for including very nice quality palettes in their monthly subscription boxes, however I don’t think any of them have been from a brand like Tarte. I really hope this spoiler is accurate cuz I’d love to try this palette. This might be a great time to sign up for BoxyCharm if you’ve been thinking about trying this monthly makeup subscription service or just want that palette plus the other 4 items for $21 & cancel right after…. Share this post with anyone you think might be interested.